I hate buying frozen pizzas. I don’t even like ordering pizza in. I don’t know what it is, perhaps something to do with my being Italian in a former life. Well, I do gesticulate wildly when I speak, do I not? As you know, I have zero time for the likes of waiting for dough to rise, so I love that yeast-free dough is A) better for your bum and B) requires no rising time. Recipe below! Well, you can obviously add whatever toppings you like! 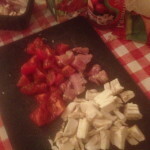 I went for passata tomato sauce for the base, followed by as much mozzarella cheese as I could squeeze on; chopped ham, tomatoes, mushrooms and lashed some dried oregano on top. 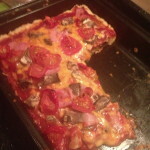 Bung in the oven for about 20 minutes or until crust is golden brown and shove in mouth – enjoy!! 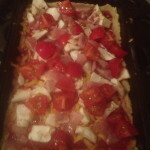 This entry was posted in Food & Drink and tagged Food, Homemade pizza, Raising Ireland, Recipes, sharyn hayden on January 29, 2014 by Sharyn Hayden. 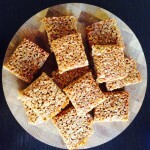 Here’s a really simple and delicious flapjack recipe that I turn to regularly. I often add different flavours to the mix for a bit of variety – lemon or orange zest, a teaspoon of cinnamon or dried fruit all work brilliantly. Line an 8 x 10” baking tray with greaseproof paper and pre-heat the oven to fan 180C. Tip the porridge oats into a bowl. 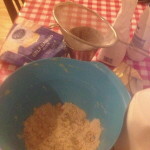 Melt the sugar, butter and golden syrup over a low heat until combined, then tip into the oats and mix well. Press the mixture into the tin and bake for 15 minutes until golden on top. 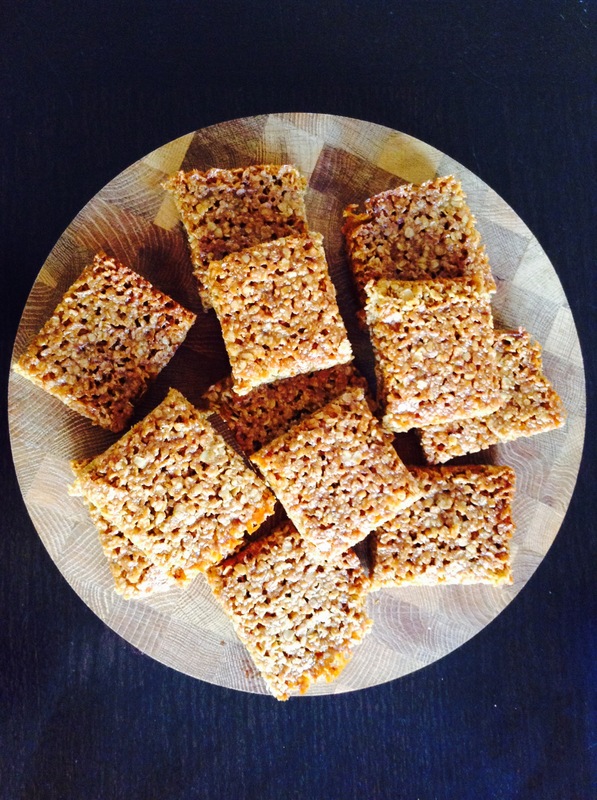 The flapjacks will be very soft at first but don’t worry – they firm up as they cool down. 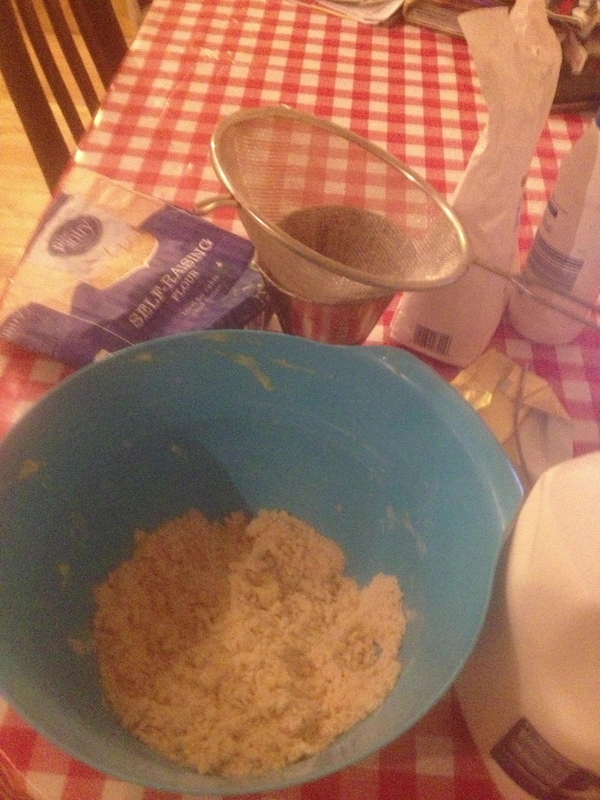 This entry was posted in Food & Drink and tagged Flapjacks, Raising Ireland, Recipes on January 20, 2014 by Suzanne Rose.